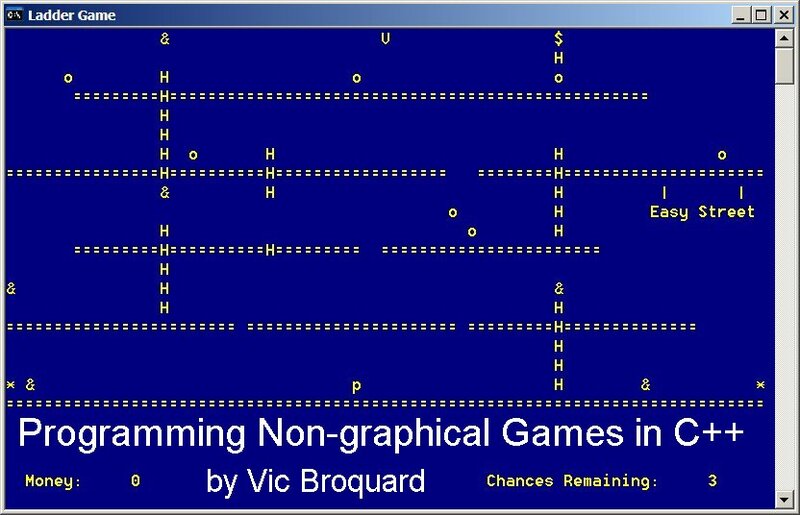 Powerful and highly useful for learning game programming in c++, Programming Non-graphical Games in C++ covers basic algorithms for programming games, using sample games that do not need a fancy graphical user interface thereby keeping the focus on the game engine and mechanics. Programming Non-graphical Games in C++ presents you with how to write Adventure games, ladder style games involving timings, the use of binary trees, and a fully operational WWII combat game. You can easily teach yourself how to create your own game engines by studying this book. And these can be quite complex; just check out the sample WWII game in Chapter 12. See for yourself the topics covered. Programming Non-graphical Games in C++ begins with the creation of a Screen class to handle direct cursor operation with full use of color allowing good looking DOS screens. Next, a complete random die rolling set of classes are presented. These sets of classes are then placed into production libraries and used in most all of the game samples. Construction of children’s games is covered. Since data structures play an enormous role in game programming, growable arrays, double linked lists, stacks, and queues are reviewed, both using a void* and template versions. The use of the STL versions of the data structures is also presented. Armed with these basics, the creation of text based adventure games are presented. Next, live action arcade style games are covered, with the presentation of a fully operational ladder game. Next, card games are presented in full. The Tree data structures are covered as are variant records. These two are then put to use in the construction of a spells selection NPC action. Finally, a complete WWII war game is presented, covering nearly a hundred pages, using many derived classes. The game is fully operational including indirect fire, direct fire, and close assault attacks. One caution to the reader, I made extensive use of OOP in these engine samples. Make sure that your OOP is up to speed. If not, get Object Oriented Programming in C++ and study it before tackling this book, which was in use at Illinois Central College in the Cmpsc 205 Non-graphical Games Programming course. Programming Non-graphical Games in C++ comes in Adobe pdf files. One file contains the entire book. There are also individual chapter pdf files. All of the sample programs are provided as well as the test data needed for some of the programming assignments are provided. If you do not have the Adobe Reader, Get Adobe Reader by clicking this link.